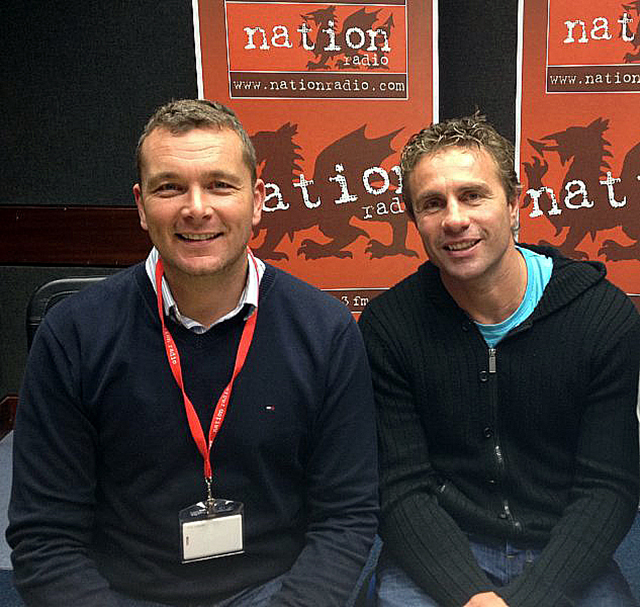 Sean was approached in June 2012 by Town & Country Broadcasting about hosting his own radio show – Rugby Nation. The Show was an instant success and was nominated for a Sony Academy Award several months later winning an Award in the same category as BBC Radio 5’s Olympic Coverage! Six series later and Rugby Nation goes from strength to strength – aided by great guests, from Lions and All Blacks to coaches and celebrity rugby fans. Sean’s strong association with BBC Wales Scrum V means he regularly features on BBC Radio Wales and 5 Live for interviews and punditary. 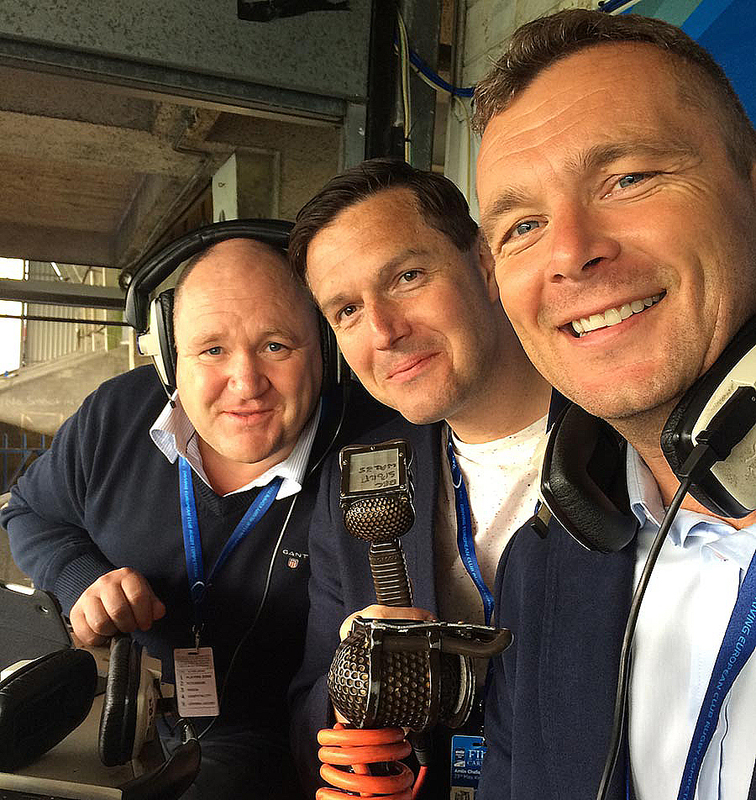 He worked for TalkSport on the 2013 British & Irish Lions Tour with Welsh Legend Shane Williams and also gets the chance to radio commentate on games, as with the pictures below commentating on the 2014 European Challenge Cup Final with Paul Williams and Rick O’Shea and in the Guinness Pro 14 with Gareth Charles.